With over 23 years working in the mental health field, Cheryl brings to Adolescent Growth a level of commitment to excellence that is unsurpassed. Her tremendous dedication to the well-being of our teens makes her an indispensable part of our team. 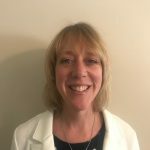 As a licensed therapist, Cheryl serves as the Assistant Program Manager and she is charged with the task of leading the clinical team members to ensure we provide the highest quality of care to the families that we serve. Cheryl began her academic career as a student at the University of Iowa where she earned a Bachelor’s Degree in Psychology. Upon completion, Cheryl then went to Governors State University and obtained a Master’s Degree in Counseling. The accumulation of her impressive credentials are as follows: National Certified Counselor (NCC); Licensed Clinical Professional Counselor (LCPC), and Certified Alcohol and Other Drug Counselor (CADC). Moreover, in 2014, Cheryl obtained her Veteran Counseling Certificate from the College of DuPage. Cheryl’s work experience spans a community counseling center serving children and families with behavioral, mental health, and substance abuse issues; a domestic violence shelter counseling women and children in crisis and, an inpatient psychiatric hospital setting helping individuals and families with mental illness and substance abuse issues. Cheryl also dedicated almost 11 years, in the criminal justice system as a case worker/probation officer in both the Drug Court and Mental Health Courts of DuPage County. Working with these clients although challenging, was rewarding as the clients were able to get untangled from the criminal justice system and stay sober and healthy and graduate the programs. Cheryl discloses that she enjoys working at Adolescent Growth because she gets to work with adolescents who are at crossroads in their life and really need the combination of structure, routine, support, and nurturance that Adolescent Growth provides. She states, “Being part of the change process here is awesome. I see that parents come to us in a crisis state and they often say that they are at their wit’s end and just don’t know what to do anymore. I like being that shoulder these families can lean on because they need respite and hope to start the healing process”. Cheryl is a key part of the transformation that the entire families make while in treatment. Cheryl also appreciates the talented team of professionals at Lombard. Cheryl elaborates, “Everyone is kind and caring and serious about effecting positive change in our clients and the families”. When she is not at work Cheryl likes spending time with her friends and family, seeing live music, and being outside enjoying nature.